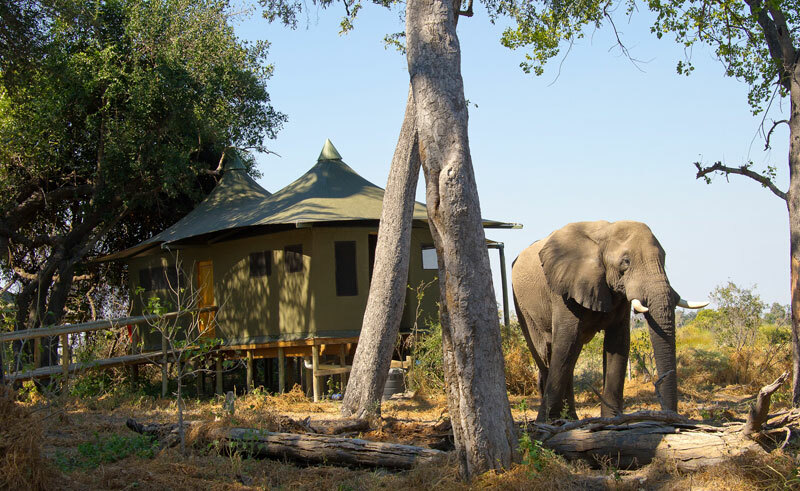 Little Vumbura is situated on an island in a private concession in the northern part of the Okavango Delta, in the same region as its sister camp Vumbura Plains, in what is known locally as the Kwedi Reserve. 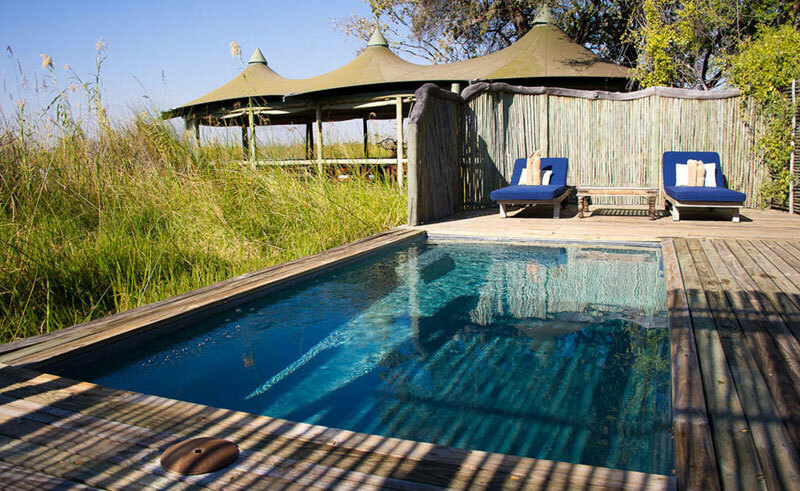 It is a beautiful six-roomed tented camp shaded by the canopy of an ancient Okavango forest. Each tent is large and roomy and has en-suite facilities. 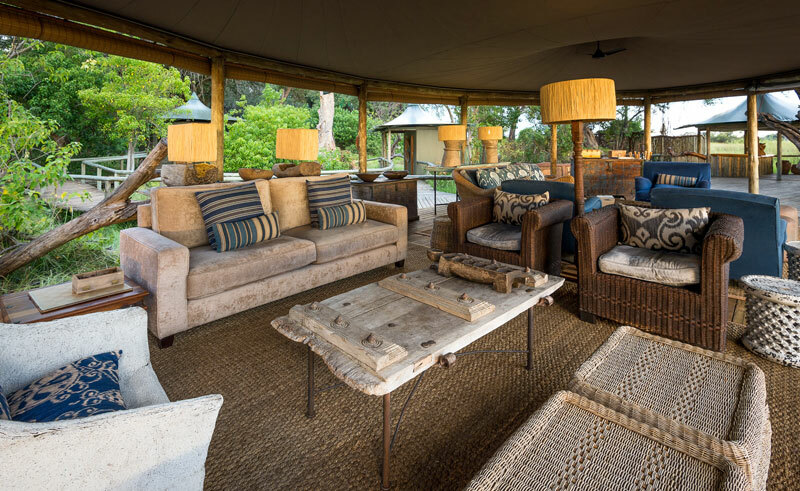 A plunge pool and reading area overlook the floodplains and a star deck leads off the dining and bar area which are set under a canvas canopy. An outdoor dining area on a wooden deck gives you the option of al fresco dinners on beautiful evenings. Due to the location of the camp, both water and land based activities are offered. Little Vumbura has deep-water motorboat trips into the permanent waterways and shallow water excursions by mokoro, as well as day game drives in open landrovers allowing guests to see animals at close range. Guided walks, which requires a special guide (on request) and fishing excursions are also activity options throughout the year. 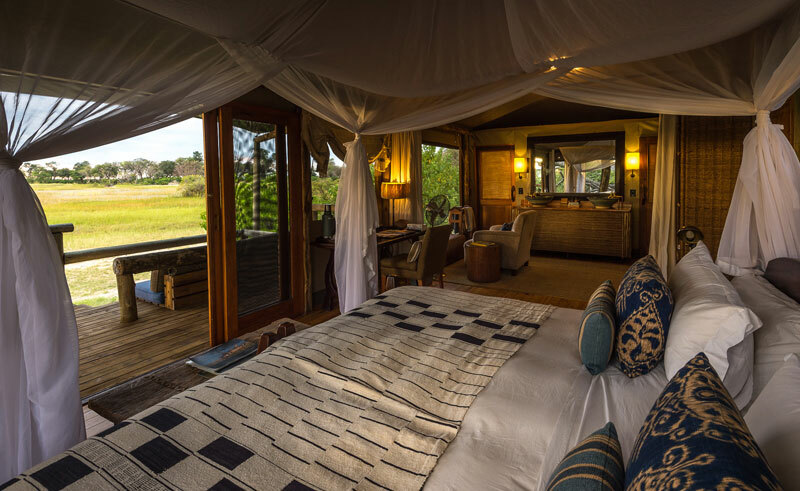 Regular sightings include lion, leopard, elephant, sable and buffalo along with extensive plains game providing an excellent all-round wildlife experience in this remote corner of the Delta. 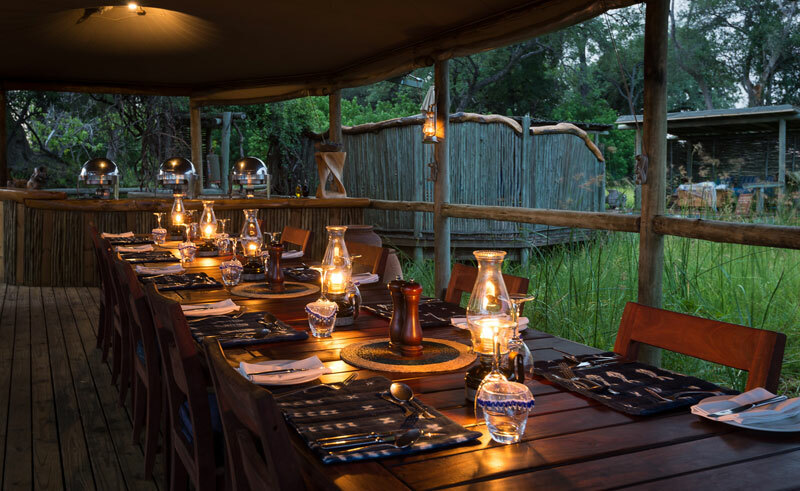 Little Vumbura is part of a community participation plan bringing the communities that live around the Okavango Delta into the tourism mainstream.